The only thing that holds us back from having everything we want is not being in alignment with our essence. I know for myself, that when I’m feeling off, things will not come to me in the way I desire. When I take the time to calm my mind and resonate with the infinite source energy that is every where, in every thing, at all times I resonate at a higher level that will attract to me the abundance that is always available. When our thoughts, feelings and actions are in alignment, we vibrate in a very high frequency to attract everything we desire. We need to get clear on what we want and stay focused on that idea. Keep the thoughts that will bring the people, circumstances and opportunities to you, get totally engaged in that thought . Feel like it’s already present. Get all your senses engaged in the idea. Then take action to attract what you want. Do this over and over and over again and eventually it will manifest in to physical form. 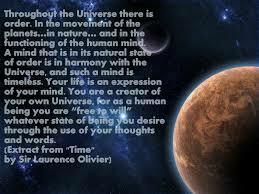 Need more help on manifesting your desire? Call me and take the action steps necessary to attract it!! Do You Do What You Know? In life, lots of people know what to do, but few people actually do what they know. Most people know what foods are healthy and what foods aren’t good for them. So why do people eat foods that they know are not good for them? Most people know that smoking isn’t good for them. So why do people smoke? Most people know that exercise is a healthy regime to maintain their bodies health. So why don’t people do it? This list could go on and on, but you get the point. 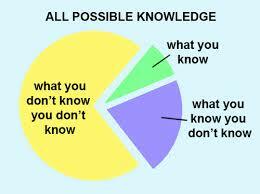 Do you do, what you know?People know what to do, but few people actually do what they know. If you are not in alignment with your body, mind, and spirit, you will be guided by your emotions, which will always steer you down the path of least resistance. You must be consciously aware of your choices, and disciple yourself to choose what you already know is best for you. So, you can do what most people know, and don’t do, or you can do what you know, and be healthy, and empowered. The choice is yours. Order is Heaven’s first law, and when we visualize what we want for our lives, we begin to place our mind in alignment with this universal law. So when we have a clear picture in our minds eye of what we desire, the simpler it is to materialize the image. Order, puts things in its proper place Without order, you will not be sending clear pictures to the universe, so a distorted image will manifest. Think of pictures on your television, when you are not on the channel you want to watch, you get the wrong channel or interference. You must be clear and in alignment with the channel you want to watch. When you do not understand something, you are confused. When you finally gain understanding, everything changes and becomes clear. You have an image you can work with. We all visualize in one way or another. Visualizing is the greatest secret to success. The more you exercise your mind to visualize your hearts desire, the more Heavens first law of order is materializing your desire. It is a Heavenly thing to visualize.